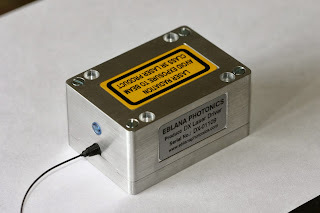 The Eblana Photonics manufactures Laser Diodes for the Aerospace, Medical Instrumentation, Optical Communications, Laser Gas Sensors, Test & Measurement, Remote Sensing, Spectroscopy, Security & Atomic Clock etc. The company has established as one of the leading European high volume supplier of high performance semiconductor lasers, delivering technical and commercial advantages to its diverse customer base. Eblana is engaged in several research and development contracts with both the European Space Agency and the European Union, supplying laser products built on Eblanas proprietary technology and expertise. Our technology platform gives you the freedom to specify your laser characteristics from the widest possible range of electro optical parameters. With wavelengths spanning 689 nm to 2100 nm coupled with package options ranging from simple TO-Can to PM fiber pigtailed Butterfly package, we can deliver a laser to completely meet your requirements in the shortest timeframe and at a cost to fit your budget. This is a fully integrated unit, specifically designed to incorporate any of Eblana's existing DM laser diode Butterfly products, delivering precise TEC control and an ultra low noise current source for optimised laser performance. The DX1 driver module complements Eblana's range of single wavelength laser diode products designed for gas sensing, advanced fiber communications, metrology, interferometry and aerospace applications. The compact housing measures just 28 x 50 x 72 mm, ideal for OEM work. E.g. CO2 & H2O Sensing. 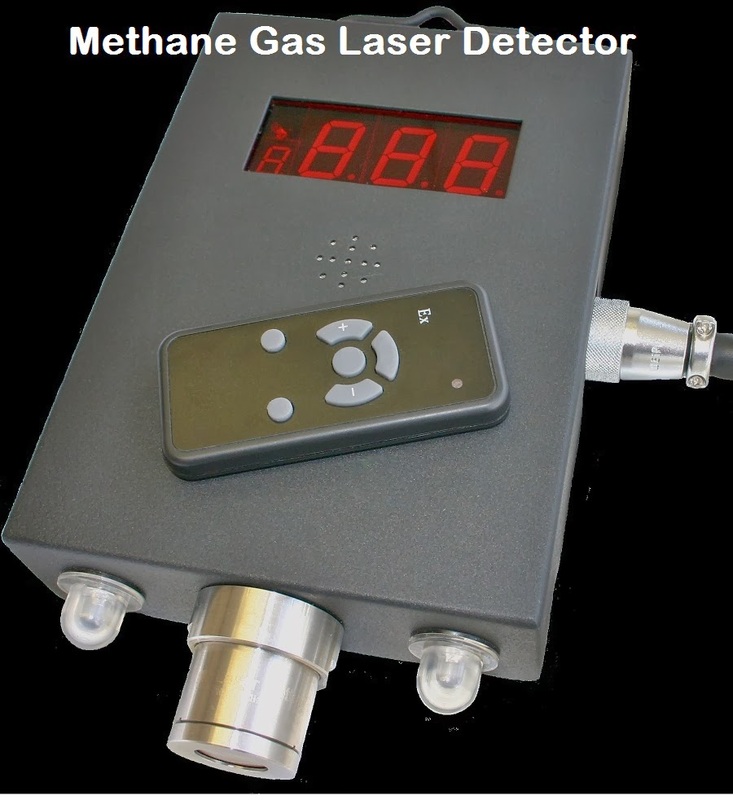 The laser technology based detector is much better than the conventional method like chemical gas sensor or infrared technology. 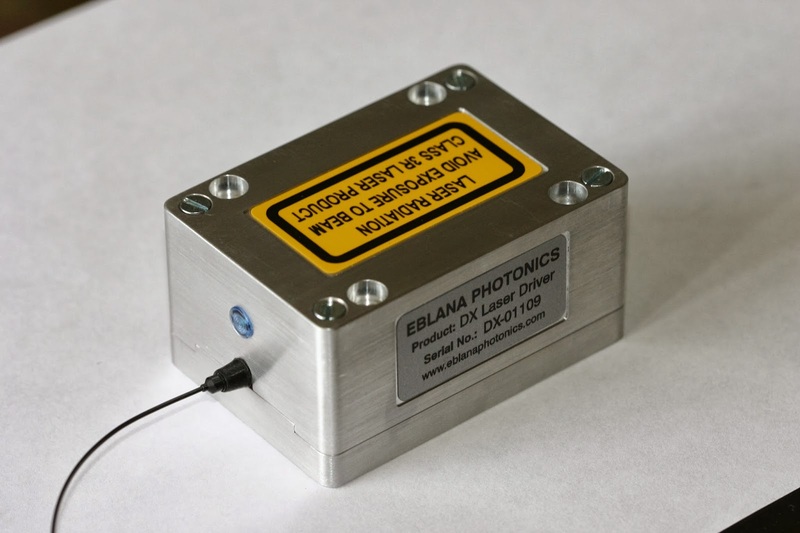 Eblana's EP1654-DM series laser diode is designed for Methane detection using the 1653.7 nm absorption line. The Laser sensors has accurate detection, fast response, calibration free, continuous monitoring, & no false alarm etc. The detector is packaged in a robust casing, and the capabilities are perfectly suited for mass deployment in the field where safety, reliability & performance is critical, such as the coal mining, oil & gas, and landfill industries. Eblana Photonics, has recently won a contract to supply the European Space Agency with an Atomic Clock, which will be used on-board future Galileo satellites. Pearse Street, Dublin 2, Ireland. Lasertech Photonics. Simple theme. Powered by Blogger.